These 13 houses were built in the 1700s but were restored in the 1930s. 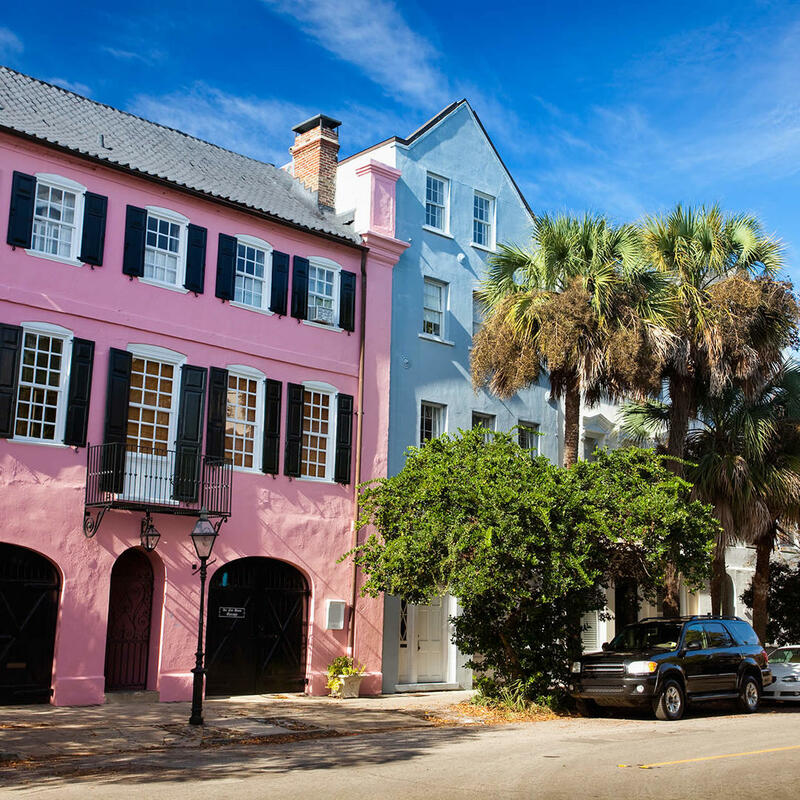 At that time, brightly colored pastel hues were making their way into American neighborhoods and the new owners of these historic homes followed suit. While the colors aren't true to Colonial America they still make an interesting and beautiful subject for postcards sold in every Charleston souvenir shop.